When Jack and I were planning our trip to Italy last year, we knew we wanted to go somewhere relaxing to rest up before sightseeing in Florence and Rome. 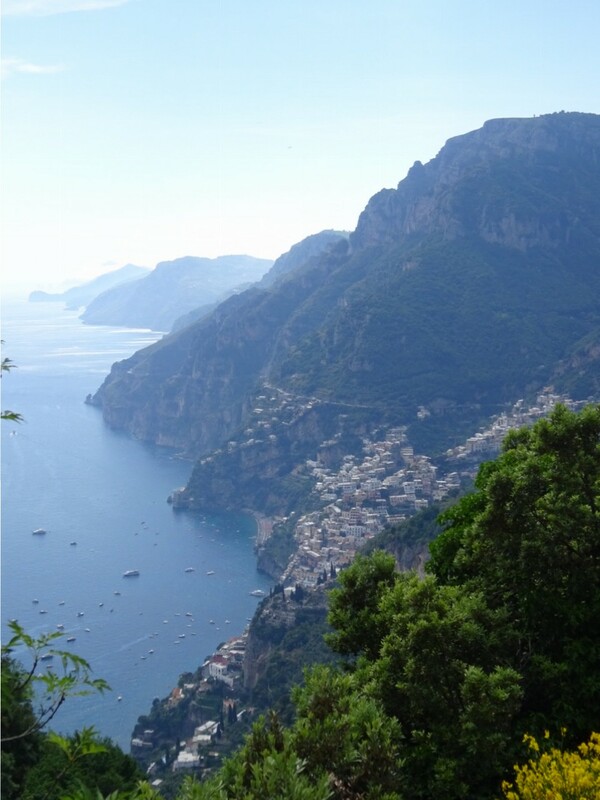 We struggled deciding between Lake Como, Piedmont, the Tuscan countryside, Cinque Terre, and the Amalfi Coast. 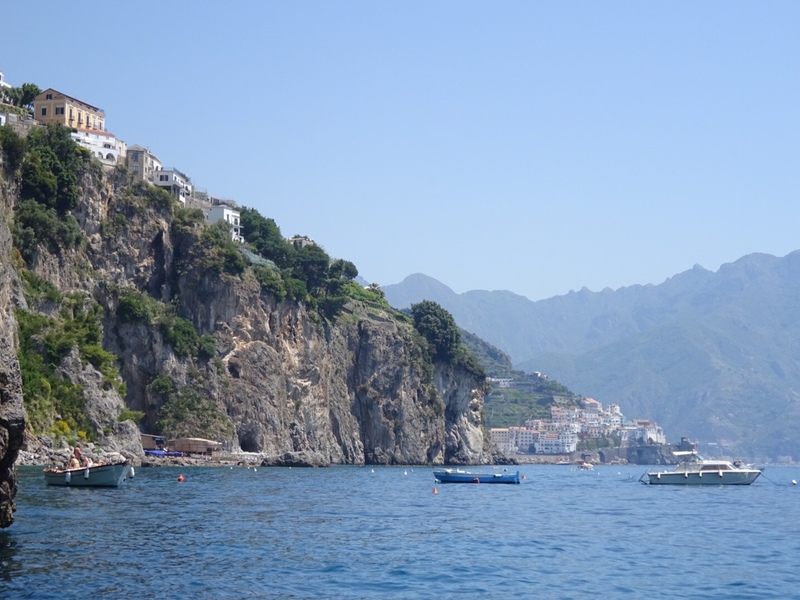 After much debate, we ultimately decided on the Amalfi Coast, and we couldn’t have been happier with our decision. 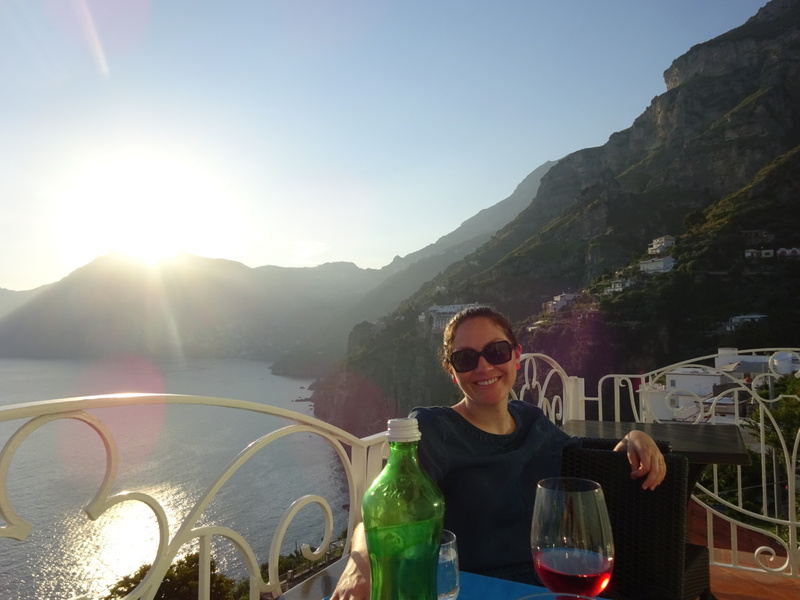 We still hope to visit the other spots on our list some day, but Amalfi ended up being the perfect place to start our Italian holiday. 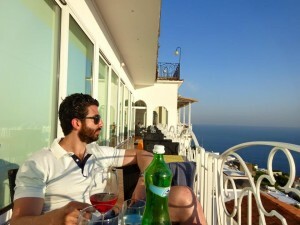 Once we agreed on Amalfi, we then had to choose which city or town to stay in. 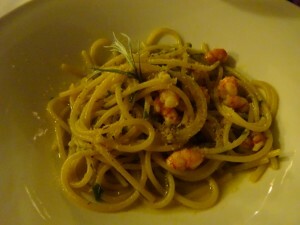 We considered staying in Naples, as there is a Starwood hotel there that caught our eye. But we hadn’t heard great things about Naples (lots of crime, apparently zero parks – though the infamous pizza is supposed to be incredible), and we didn’t want to spend our time there taking day trips to the towns we’d rather be staying in. Praiano was recommended to us by several friends; Praiano is a quiet town on the Amalfi Coast which boasts incredible views of Positano. We also looked into Sorrento, Capri, and the town of Amalfi, but we ultimately decided on Positano. Positano was amazing. It is definitely a town that caters to tourists, but that didn’t take away from its charm. I just loved being surrounded by mountains with beautiful homes adorned with bougainvillea. There is a decent beach in Positano, as well as ferry access to Capri and other nearby towns. We found some great food and we really enjoyed walking up and down the steep stairs, eating gelato, and window shopping. Jack and I had been apart for two and a half weeks when we met up in Italy (I had been studying Spanish and traveling with a friend in Spain), and Positano was the perfect romantic spot to reunite. Jack and I met up at the Rome airport and took a fast train to Naples (1 hour and 10 minutes, €44 each way). Napoli Centrale train station is super sketchy, and we were advised to hire a car to drive us to Positano. It was well worth the money. We used Benvenuto Limos (€120 + tip each way), recommended to us by a friend. We were very happy with the service and the drive was beautiful. 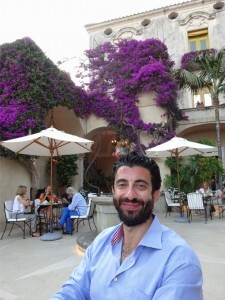 We stayed at the Palazzo Murat, which I believe we found on Jetsetter. We were very happy with this hotel. It has great amenities – balcony, pool, helpful concierge – and we had one of our best meals in Positano at their restaurant Al Palazzo. Our room had beautiful views of the Positano hillside, and we had a large patio on which to relax (this was also a great spot for morning exercises). 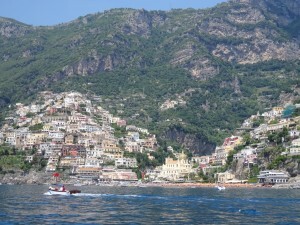 On our first full day in Positano we enjoyed a beautiful boat tour compliments of our hotel. 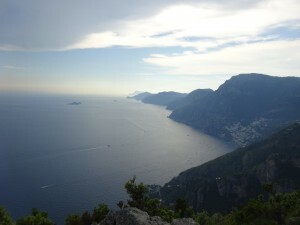 The views of Amalfi Coast were stunning. I haven’t spent much time in the Mediterranean Sea, and I was amazed by the crystal clear blue water that was warm enough to swim in. I highly recommend taking a boat tour if you are visiting the area. 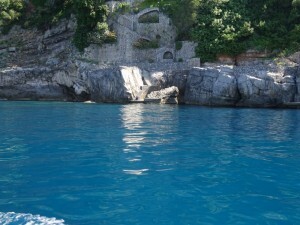 One of the main attractions on the Amalfi Coast is taking a day-trip to the island of Capri and visit the Blue Grotto. The Blue Grotto is a sea cave through which sunlight passes and illuminates the water in a bright blue hue. It is something that I would love to see one day, but once we started looking into the logistics of this activity, we decided against it. 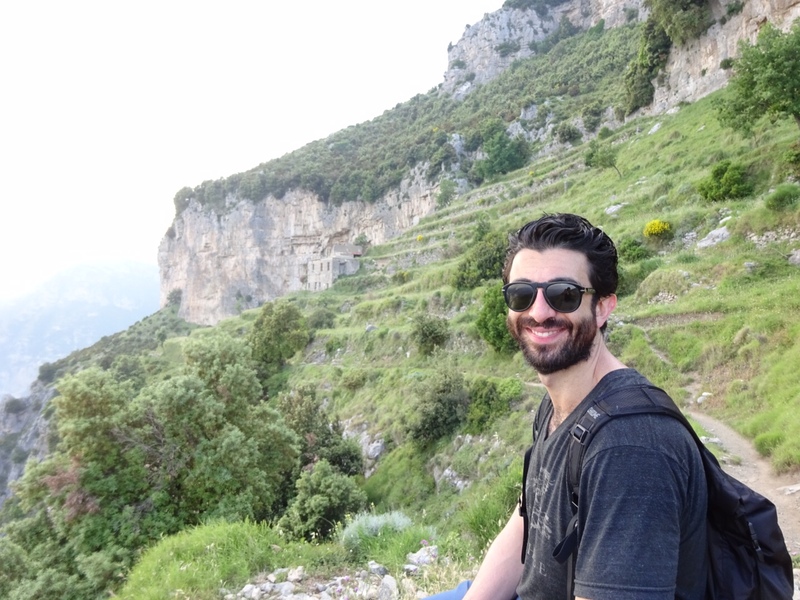 When we were on our boat tour, we saw the hoards of people lining up to board the ferry to Capri. This ferry costs €34 per person roundtrip. 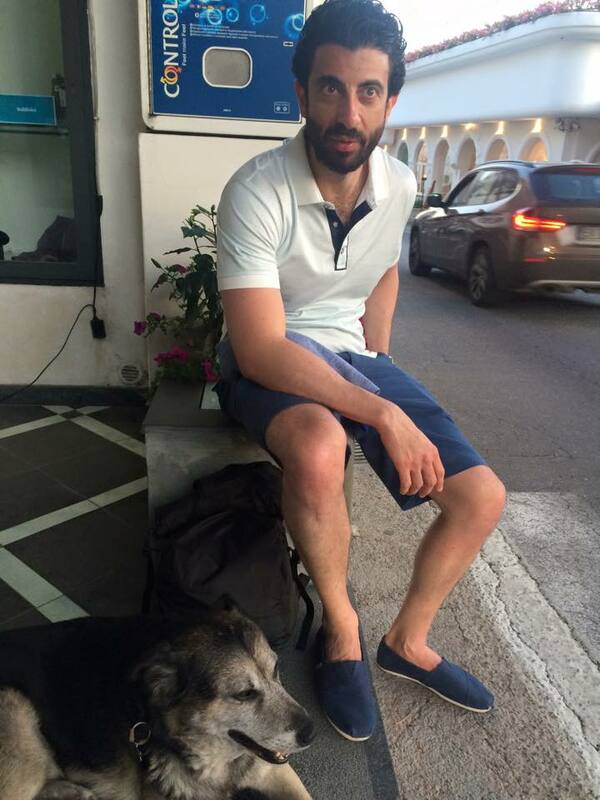 Once on the island, you have to take a bus or taxi from the ferry station to the marina near the Blue Grotto. You can take a private boat tour around Capri, or you can choose to just see the Blue Grotto; either way, you have to transfer to a small row boat to enter the cave. The wait time on the water before entering the Blue Grotto can be up to 45 minutes, and if the sea is choppy, the passage may be closed with very little warning. Passage through the cave costs €9 per person, and a tip is customary. 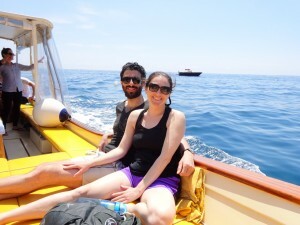 The boat ride through the Blue Grotto is supposed to be spectacular, but it only lasts about five minutes. We ultimately decided that we didn’t want to devote an entire day to this; some day I would love to stay on the island of Capri and visit the Blue Grotto then. 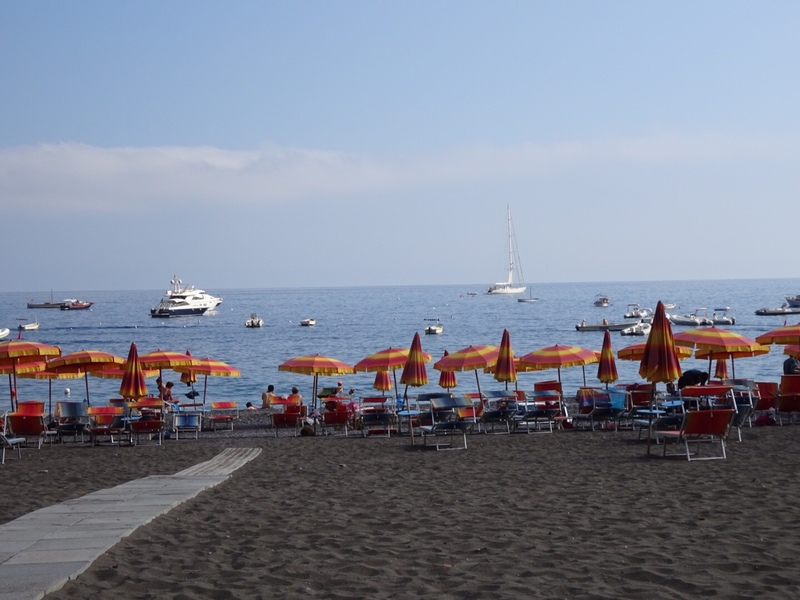 We did enjoy a day at the beach in Positano. I absolutely adored swimming in the Mediterranean Sea. There were lounge chairs and umbrellas that we rented for a small fee. My one complaint is that the beach was pebbly and uncomfortable on my sensitive feet. I would definitely recommend packing water shoes so that you can enjoy swimming from the shore comfortably. Probably our most memorable activity on the Amalfi Coast was hiking the Path of the Gods (Sentiero degli Dei). One of the women on our boat tour highly recommended it, so we decided to give it a go. The entire hike takes you from Agerola to Nocelle, which takes roughly 4.5 hours to hike. We went in the opposite direction, from Nocelle to Praiano, which took us about 2.5 hours. 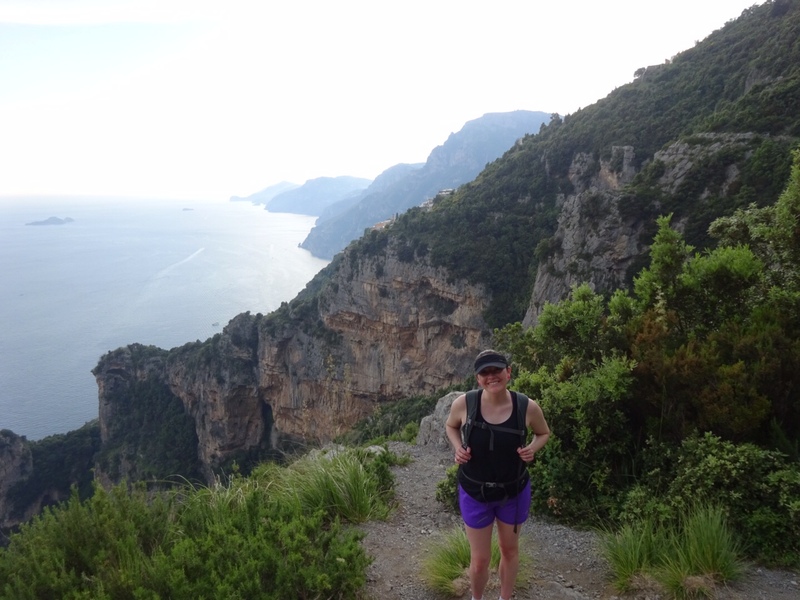 The hike is gorgeous – the entire walk is along the Amalfi Coast with breathtaking views of the Mediterranean Sea and Capri island. However, if you are afraid of heights or suffer from vertigo, I would not recommend this hike. It is quite safe, but looking down at the sea below sometimes gave me wobbly knees. We took a city bus from Positano way up the hill to Nocelle. Even this bus ride gave me butterflies! 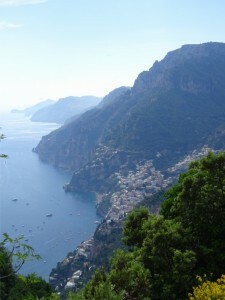 The whole ride is along the narrow, cliff-hugging roads for which Amalfi is famous. Once we arrived in Nocelle (about 15 minutes, if my memory is correct), we began our trek. The hike was relatively difficult – there were some narrow areas and stairs that required some climbing and maneuvering. When we were about 30 minutes into our walk it began to thunder and rain. I was a bit nervous that it would rain hard, as the path would be slippery and dangerous when wet. But the clouds quickly let up and we continued on our way. Hiking the Path of the Gods. Jack made fun of my visor for most of the hike. Once we made it to the town of Praiano, we were dirty and sweaty and so tired. 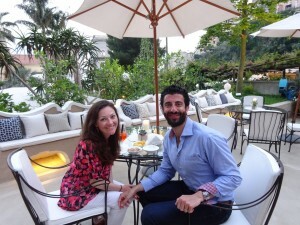 All we wanted was to sit out at one of the nice restaurants and have some rosé. We wandered into the first fancy hotel we could find and asked if we could sit out on the deck overlooking the water and buy a bottle of wine. The staff was very polite to us, but they gave us a table all the way at the end of the deck, probably because we looked like hobos! Then we snuck into the bathroom and changed into nice clothes, rinsed off a bit, and emerged transformed into the fancy couple that we are. After relaxing on the deck, we walked to Vivaro Wine Bar, a small “one man show” restaurant that had been recommended to us by some friends. The owner does everything – he cooks the food, serves dinner, and picks the wine. The only problem was that we didn’t have a reservation – apparently we couldn’t just walk in to this tiny operation and snag a table. We walked away feeling disappointed that we literally walked all this way and forgot to make a reservation. Jack coming up with a sob story to tell the restaurant owner so that we could eat at Vivaro Wine Bar. The scrappy city pooch provided him comfort in this dark time. After contemplating our next move, Jack decided to go back to the restaurant to see if there was any way we could get in for dinner. As luck would have it, a couple got up to leave from the counter right when Jack arrived and we were able to snag two seats! The gods were on our side! 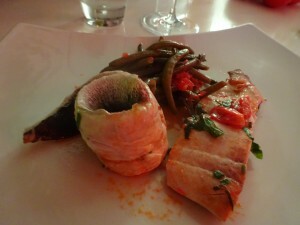 We had a wonderful dinner at Vivaro. There is no menu – the owner Gennaro simply cooks whatever is fresh that night. He asked us whether we wanted to drink “white or red wine?” then opened a bottle of whatever he had on hand (it was delicious). 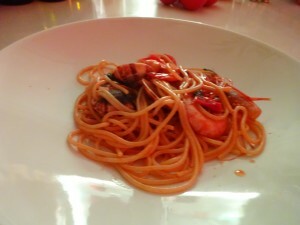 We had a lot of fresh seafood, which is abundant on the Amalfi Coast. The gentleman sitting next to us at the counter was a marine biologist, so he taught us all about the fish we were eating. 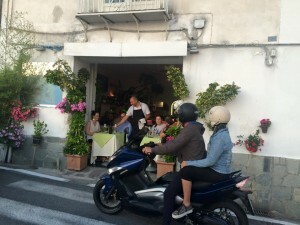 After he and his friend left the restaurant, a lovely Irish couple sat down next to us and told us all about their recent move to Praiano for retirement. In addition to being delicious, I remember the dinner being very affordable – we had four courses and two bottles of wine, and I believe it was under €120. 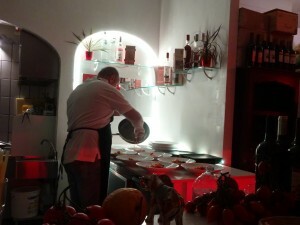 After our unforgettable meal we realized that we did not have a game plan for getting back to Positano. For some reason we assumed there would be cabs available to take us back to our hotel – this is not the case (Praiano is very small). 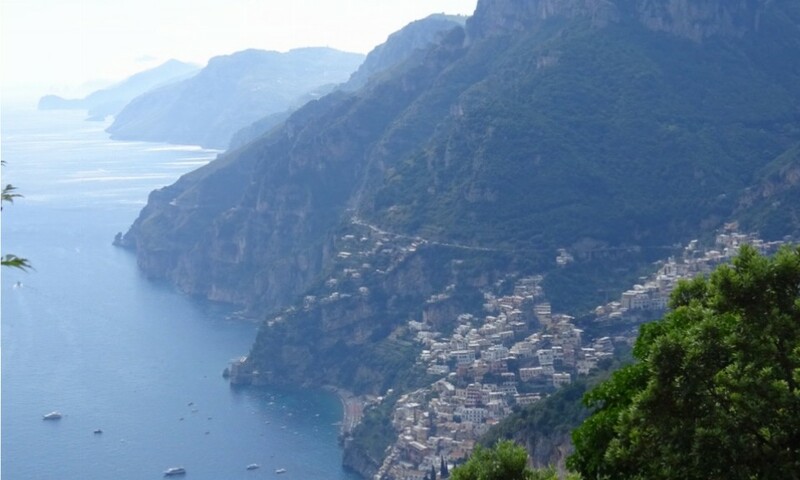 However, we were fortunate again that Gennaro has a good buddy in town who happens to be a cab driver – he called him at home, woke him up, and convinced him to drive us back to Positano. It was a nice lesson for me (usually a planner!) that things sometimes just work out with no advanced planning. 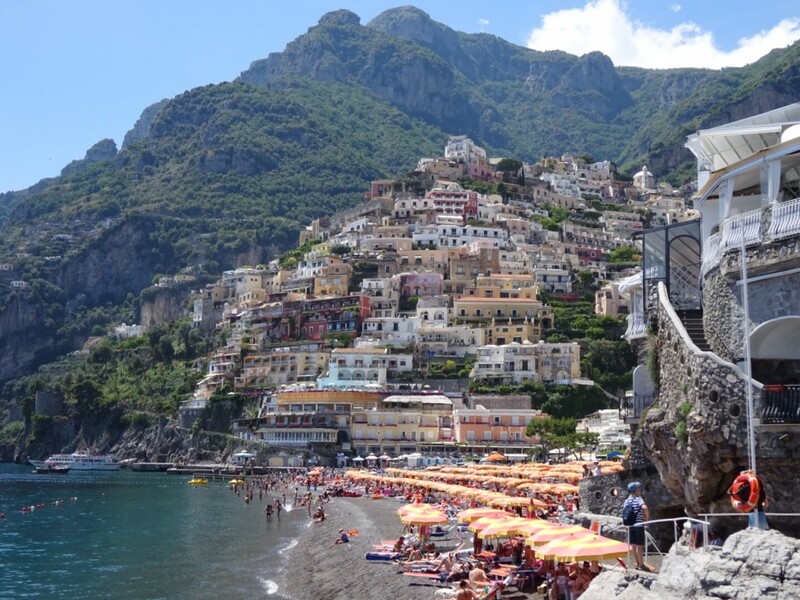 Our trip to Positano was magical. It is such a beautiful and romantic place. We ate well, swam in beautiful waters, hiked on the most magnificent trail, and enjoyed getting to know the friendly Italian people. 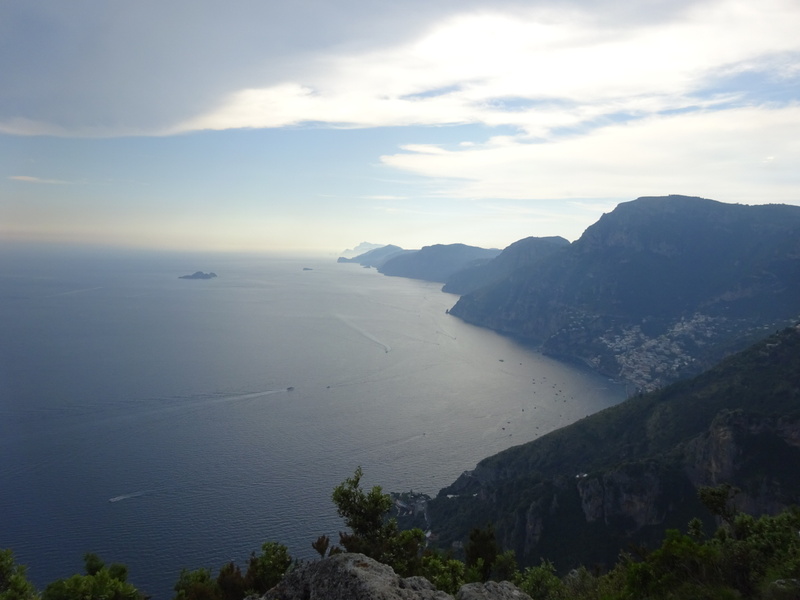 We didn’t get to see everything there is to see there (next time I want to explore Capri, Amalfi town, and Naples), but we saw enough to fall in love with the area. I highly recommend Positano for your next Italian vacation! Perfect timing Laura. After Sicily we will be as long the Amalfi Coast. The stop in Praiano sounded wonderful. I think we are planning the same hike.